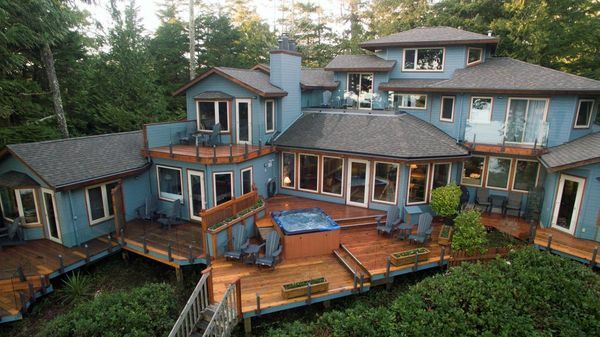 On the western fringe of Canada is the Pacific Rim of Vancouver Island, world renowned for pristine beaches, whale watching, hiking, incredible fishing, and winter storm watching. The journey begins on Highway 4 just outside Parksville on the east side of Vancouver Island and heads to Port Alberni. Along the way you will drive through MacMillan Provincial Park/Cathedral Grove where the famous stand of old-growth Douglas firs is simply awe inspiring. Take some time to stop and explore the forest on a guided trail. Port Alberni is surrounded by tree-covered mountains and the deep blue waters of the Somass River. It is nestled in Alberni Valley at the head of Vancouver Island’s longest inlet, the Alberni Inlet and its rich salmon fishing grounds. A visit to the fish hatchery on the Stamp River or the fish ladders in the Stamp River Provincial Park is fascinating. 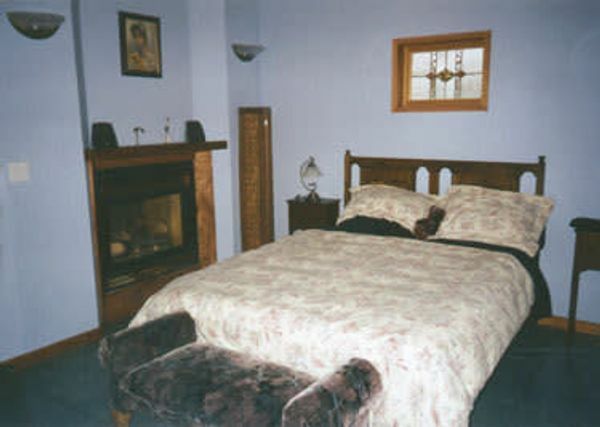 Attractions include the Alberni Valley Museum, Maritime Discovery Centre, and the McLean Mill National Historic Site which you can visit via a steam train ride from downtown. Heading west out of Port Alberni along Highway 4, the road meanders through unspoiled mountain wilderness on its journey towards Ucluelet (96 km / 60 mi) or Tofino (122 km / 76 mi). These picturesque communities are located 42 km apart, at either end of popular Long Beach. 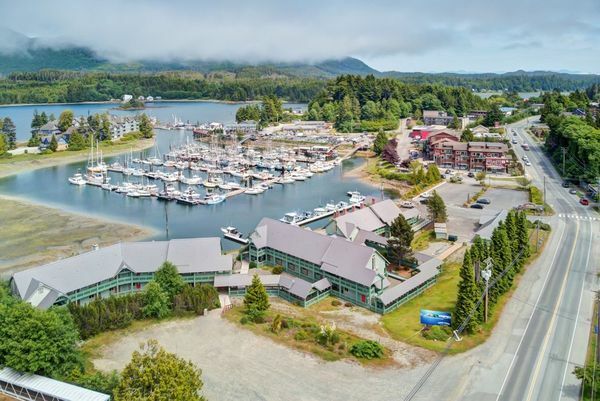 Ucluelet, meaning “safe harbour” and pronounced “yew-kloo-let,” is 8 km (5 mi) south of the West Coast Junction and is the Gateway to the Broken Group Islands. The harbour bustles with a mixture of classic fishing boats and modern yachts. Numerous picnic areas along the beaches and rocky coast offer spectacular views and, in winter time, storm watching is among the world’s best. 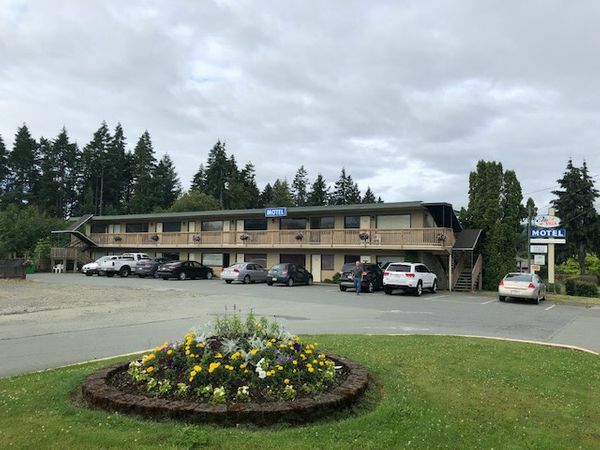 Several well-known restauranteurs have opted for the quieter life and provide Ucluelet with exceptional dining experiences not normally found in such small communities. Fresh local seafood is a Ucluelet specialty and is featured on most menus. 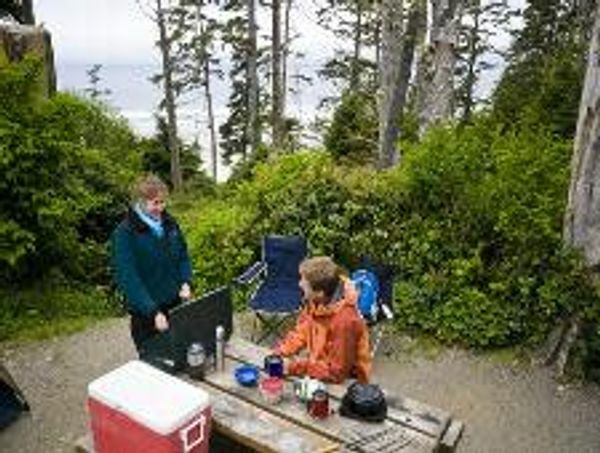 Before reaching Tofino you travel through the Pacific Rim National Park. 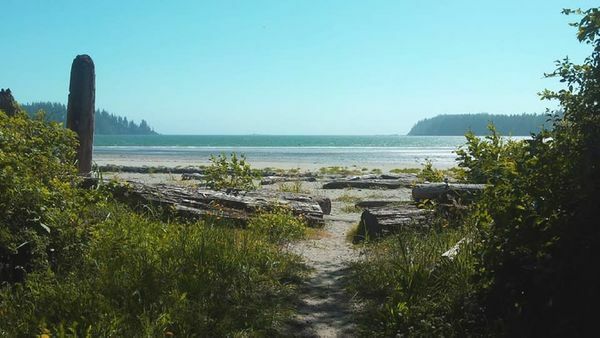 The Park consists of three geographically separate areas including Long Beach, the Broken Group Islands and the West Coast Trail. 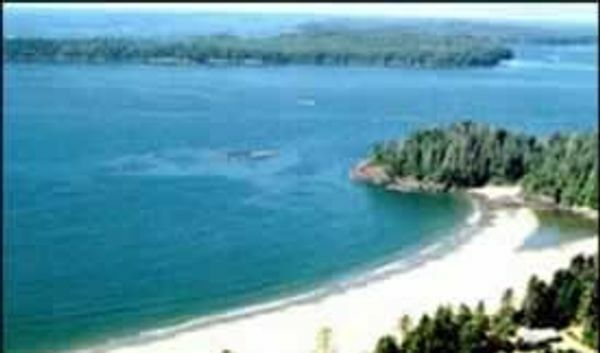 The Long Beach area is named for the longest of a series of beaches on Vancouver Island’s west coast. The Broken Group Islands is an archipelago of over 100 islets in the Barkley Sound and the West Coast Trail is 77 km (48 mi) of challenging hiking which was originally used as a life-saving trail for shipwrecked mariners battling the elements of Vancouver Island’s west coast. 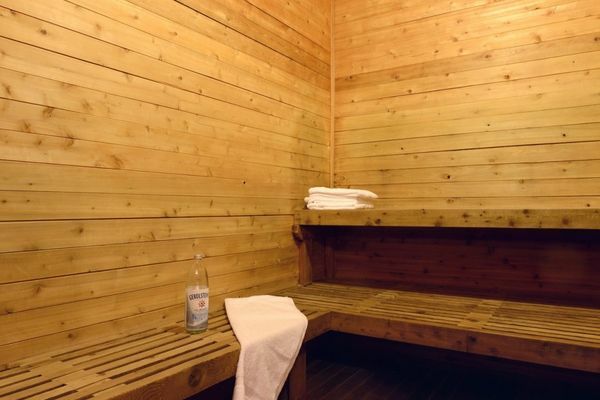 The West Coast Trail is so popular today that you must book ahead. By limiting access this helps to protect this environmentally sensitive area. 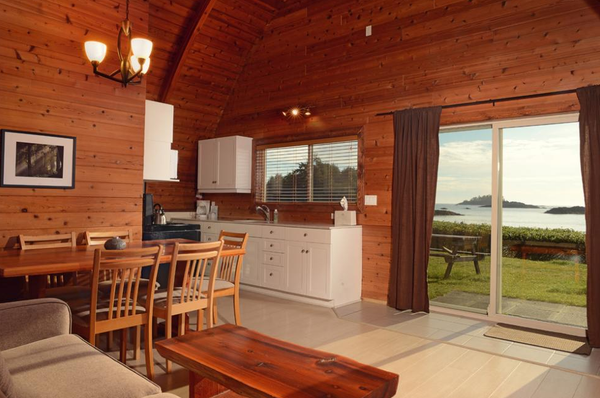 The picturesque, coastal district of Tofino is an intriguing contrast of old-growth forests, white sand beaches, and the ever-churning Pacific Ocean. Tofino, in the centre of Clayoquot Sound, has been designated B.C.’s first United Nations Biosphere Reserve. A variety of world-class accommodations, excellent restaurants specializing in seafood, and plenty of exhilarating activities await visitors. It is easy to book an open Zodiac or boat tour to visit the Gray Whales or to rent a kayak to enjoy the peaceful waters of Clayoquot Sound. On the south arm of the Alberni Inlet from Port Alberni you can travel 100 km of gravel logging roads to one of Vancouver Islands most remote communities, Bamfield located on Barkeley Sound. Others take the more peaceful route via the MV Lady Rose, a vintage coaster serving remote communities. Bamfield is a fishing village with boardwalks that act as the main street, joining houses, stores, resorts, and marine suppliers. 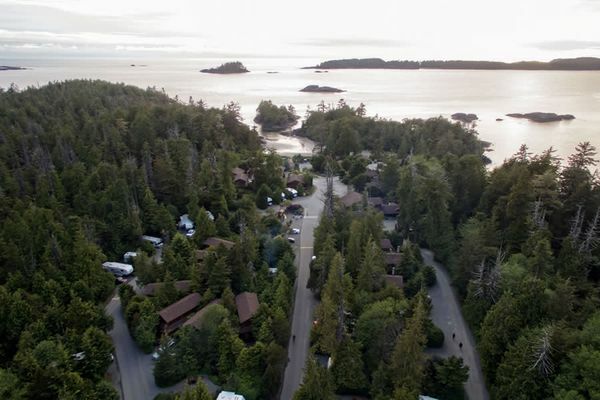 Bamfield offers superb salt water fishing and a staging post for other adventures such as the north point of the West Coast Trail or sea kayaking the broken islands.